436 pages | 23 B/W Illus. Expected to become a classic in the field and the classroom standard for teachers and their students, this book offers the most comprehensive, engaging selection of classic and contemporary readings on globalization currently available. 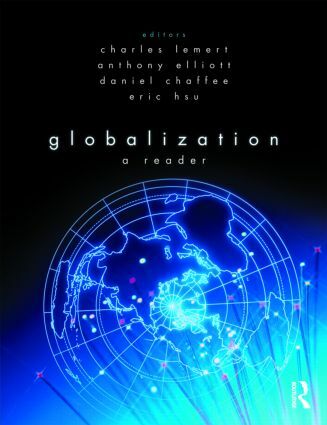 Here, for the first time in print, is the full historical story of globalization – drawn from original sources, explained by accessible introductions and biographical commentaries, and clearly organized as a comprehensive teaching text to guide students through the ins and outs of globalization. With astonishing social, political and historical depth, the book ranges from the Babylonian and Persian empires in Mesopotamia to the global electronic economy of the 21st century, from ancient Greece and imperial Rome to transformations in contemporary state power and global inequalities. From Kenichi Ohmae to Al Gore, from Osama bin Laden to Timothy Garton-Ash, from Amartya Sen to Abdou Maliq Simone: this is a dazzling collection of the most important academic and public statements on globalization. Throughout, the Editors expertly guide the reader through the complex terrain of globalization – its engaging histories, its transnational economies, its multiple cultures and cosmopolitan politics. Charles Lemert is the Andrus Professor of Sociology at Wesleyan University, USA and Visiting Research Professor at Flinders University, Australia. Anthony Elliott is Professor of Sociology at Flinders University, Australia and Visiting Research Professor at Open University, UK. Daniel Chaffee is Associate Lecturer in Sociology at Flinders University, Australia. Eric Hsu is a PhD candidate and Associate Lecturer in Sociology at Flinders University, Australia.